It’s exactly a month since disaster struck and now the government and news outfits have been heralding the news that normalcy is slowly being restored in the city. 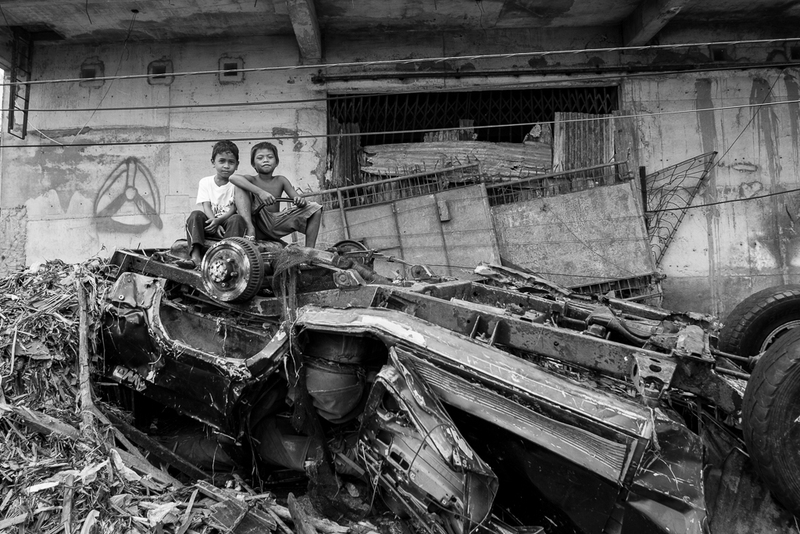 For downtown Tacloban with all the piles of debris strewn all over the streets and the shuttered businesses, maybe there is a very small semblance of normalcy for the clueless. Sure, there are stores that are now opening, but things are still very far from normal, especially when one goes outside of the commercial area. This is Anibong, one of the places I frequent during my photo walks. It is barely recognizable. Correction, it is unrecognizable. All the houses and sari-sari stores lining the street are gone. The remains of a decent house, 30 days later. No housing relocation sites yet, no master plans for development, nothing. Nobody is running the show. Scenes like this are kept from the local news. Everything is going well, they say. Hey, it’s almost Christmas everywhere else but here. Where have all the playmates gone? This is still Tacloban City, but I don’t see the usual people I meet anymore. Where are they? Joey, 2nd from left. He has a small watch repair booth in front of my father’s store. I’ve known him since I was in my early teens. He lost his wife during the storm. I know them both; I see them almost every weekend when I pass by. All I could do was give him a hug. It is not normal for ships to be on the street pretending to be cars. This ship will be chopped up and be sold as scrap soon. 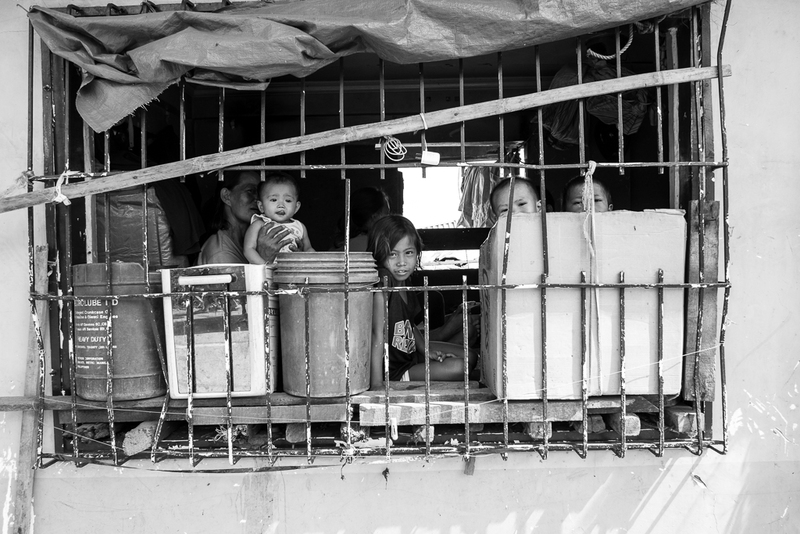 Babies and mothers are cramped in a small barangay hall. 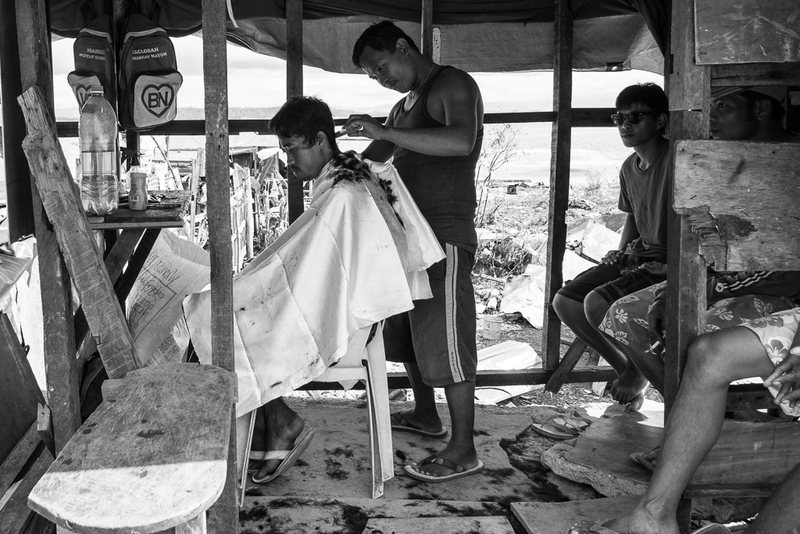 They’ve escaped the storm surge, but not the squalid living conditions of the aftermath. Container vans as temporary living quarters until these are taken back to the docks tomorrow. There’ll be no more roof to keep them dry until they are relocated by the government. This place is now a no-build zone. The social welfare department will also be slowly halting the supply of relief goods, and these people are still out of a job. With all the money pouring in but not going to the intended beneficiaries, maybe next time the private sector should receive the financial aid instead and have an “adopt a family” program. Of course, kids will always be kids no matter the circumstances. There’s plenty of wood around to make these scooters. Children do need time to play. The village barber is in business. All seems normal, except for the view. 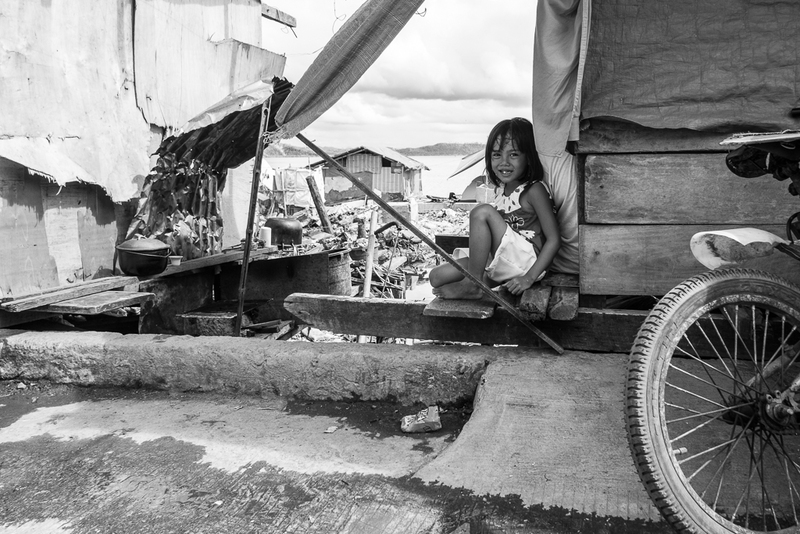 At the very least, people can still afford to smile despite all they’ve gone through – high waters and all. Our eyes see and we react, but when the eye shines its light on something new.. reactions like these come and go like morning dew. I just wonder why the officials of this place are not there doing their job? 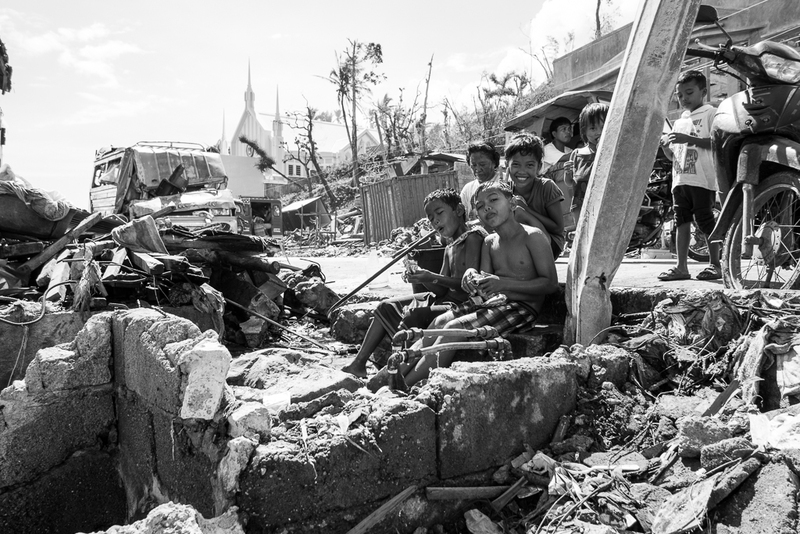 The residents of Tacloban voted for them- there is no excuse now that they are needed. Eyes of the world ? How quickly we all forget and pass on our way. we witness through photography peoples needs and sorrows but our eyes soon look away and in doing so forget the poor souls. Is photography failing ? Why with so many images of suffering are those who have been captured, still in suffering ? Who is still not watching what needs to be watched ? Praying for Tacloban and the rest of the areas affected. Thanks for these pictures – beautifully shot, and precious for archives. I admire, through the expression you cought, how local people stand the situation….. I don’t think here in northern countries people would behave like this. Congratulations for your this ! Such beautiful and powerful images. Thank you so much for sharing!! Please keep up the amazing posts!!! These are beautiful and haunting images. It is important for the world to know the reality. I feel deep and lucky! A test that involves each individual that reads/hears about the tragic that occurred —Start anew. The sad plight of the Filipinos… from a fellow Filipino… me. it really is a good blog. Great images. The black and white contributes greatly to the already stark conditions. Incredible set of images. Thank you, sir, for sharing these. May our kababayans in Tacloban and other affected places be blessed with provisions and strength to rise up again. Guess it never reached them? Black and white pictures that underline a reality colored by every nuance between those extremes. Be strong. It will take a long time for this to heal. The media is like a monkey, jumping from one tree to another. Thank you for sharing what you are seeing on the ground. For those of us that are not there to see it ourselves, you have provided a link to see the reality. Excellent stuff. Just magnificent. Huge, telling photos. And can you believe the smiles here & there… Wonderful. Thank you for sharing. Keep showing the “real” story – you all are in my thoughts and prayers. I’ll write my congressmen and share this with them. Thank you again for your images! Also thank you for letting us know what the true conditions are there. Our prayers will continue to go out to you. Let us lend a hand and give to those who have been affected. We will always remember. 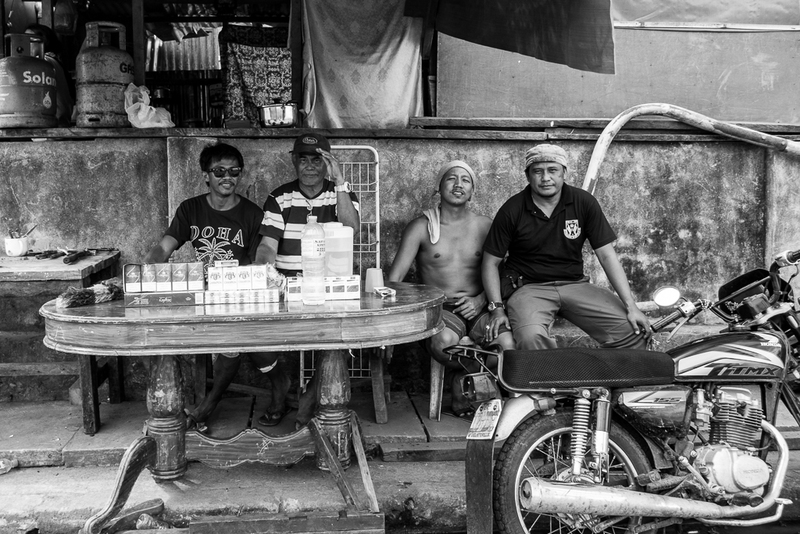 These photos are incredible – the normalcy in those conditions is just so striking. Thank you for sharing. As others have said, so much better coverage than we’ve seen elsewhere. Beautifully done. Yeah. It’s not like the media ever cares about the suffering people it covers. Those pictures said more than any words would have, especially with the black and white format. But no matter what, things go on and people adapt. I’ve found that people can get used to anything if enough time passes. Not exactly a silver lining but it helps to think about tragedies in this way. I’m so happy this was selected as Freshly Pressed so that the aftermath of the storm is not as easily swept under the rug as “old news.” Such profoundly sad pictures, especially in light of your previous work. What an awful tragedy and now sadly not even naking the news…. Definitely worth a read through. Normalcy? Far from it! Thank you for sharing these remarkable pictures. So much more realist than what we see on tv or in the news. Thank you for the fine work Orlando. 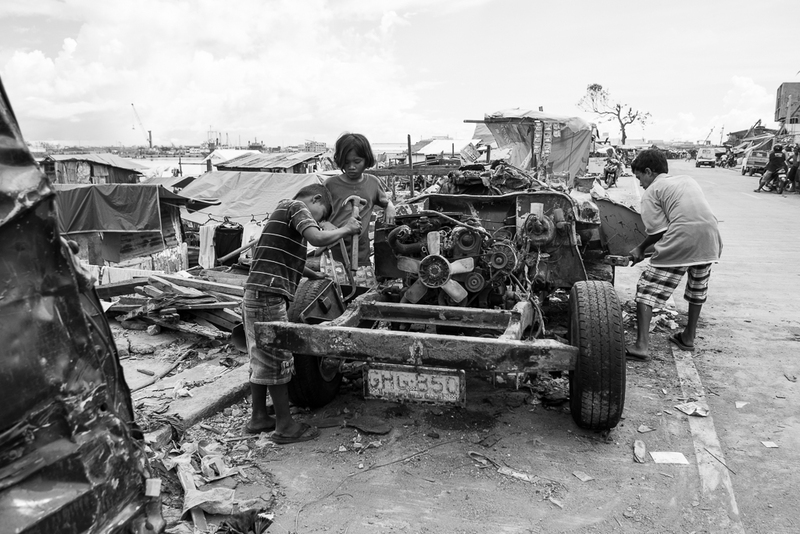 As seeker points in her blog, There’s so much that the media does not cover that really should, Like the strength and spirit of the people of Tacloban, True show of strength and spirit to move forward and rebuild from the start. These photos, are amazing. I agree with seeker, so much that should be covered gets missed by the media. My prayers and my respect for the strength within to still find reasons to smile and stay strong. This is something that the news hardly cover. Thank you for bring the world to us about what’s actually happening back home. I am very much aware that the donation I sent will not reach you guys, but nonetheless, I donated and prayed to God that a little bit will reach you. Take care. This is a heartfelt piece of writing with photos that really make me and others appreciate what we have and realise how easy it can be taken away. Well done on a brilliant piece! Incredibly moving photojournalism. Thank you for sharing these heart-stopping images. Fine work. “Scenes like this are kept from the local news.” I don’t get it, who are they keeping it from? The people already living in it? Also, if the social welfare department will be slowly halting the supply of relief goods, where will it all go? I thought millions donated from around the world were still being sent there? Is that incorrect? If correct, then where will it go if not to the people and services in need? Congrats for being freshly pressed, loved the article. The photos made me appreciate black and white all over again. You’ve really captured the emotion and the human spirit through your photographs, well done, and thanks for sharing. Wow…wonderful images. Thank you so much for sharing it! Congrats on being Freshly Pressed! great series! really touching photos! Amazing photos that tells the truth. Thank You. Simply amazing photos Orlando. I’m so glad you’re posting the truth about the real conditions. I actually haven’t heard a news story about the Philippines in about 10 days. It’s no longer news here in the states. Even our homeless have disappeared off the streets as we are living in cold weather in the low teens. It’s 12 degrees F here right now. Thanks for sharing your story. God bless. For whatever reasons, our government wanted to suppress the truth. I’ve just talked to some foreign volunteers today and what they told me was just too sad. They work with the government, both local and national, to make sure that they don’t step on anybody’s toes. Most of these organizations are starting to pack up and ship out, and one of the reasons for that is when the government tells them that things are manageable. It is far from that. It’s been 30 days and there is no master plan, no relocation sites, nothing. We have leaders doing grunt work, bureaucrats and politicians wasting time with meetings and more meetings but not getting anything done. It is a joke, but nobody is laughing. A deeply touching and disturbing report. Very well done. of our mother earth as we are destroying it now every second. 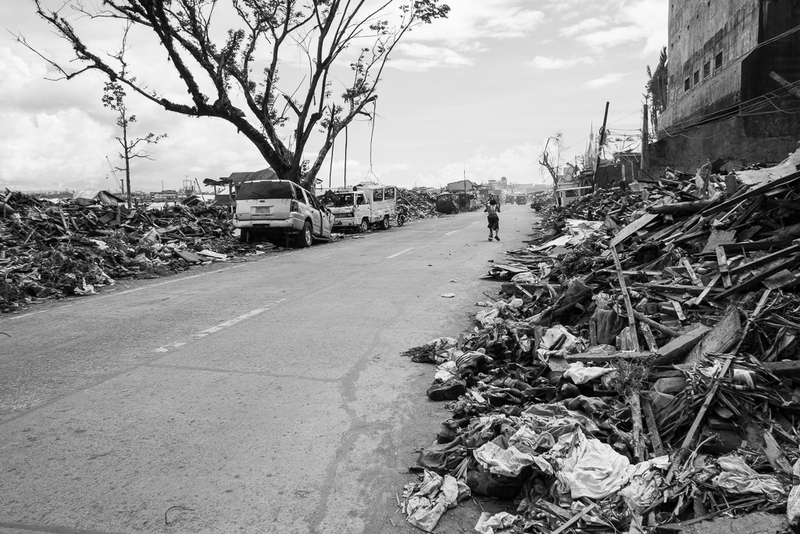 Tacloban City, 30 days later after typhoon Haiyan made landfall in the Philippines. 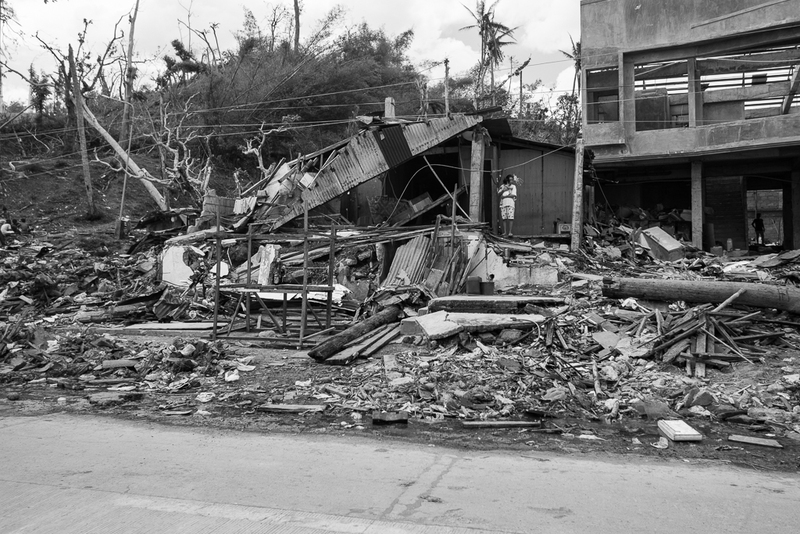 Tacloban was one of the badly hit areas out of the 589 municipalities, and 57 cities hit by Yolanda in the Philippines. 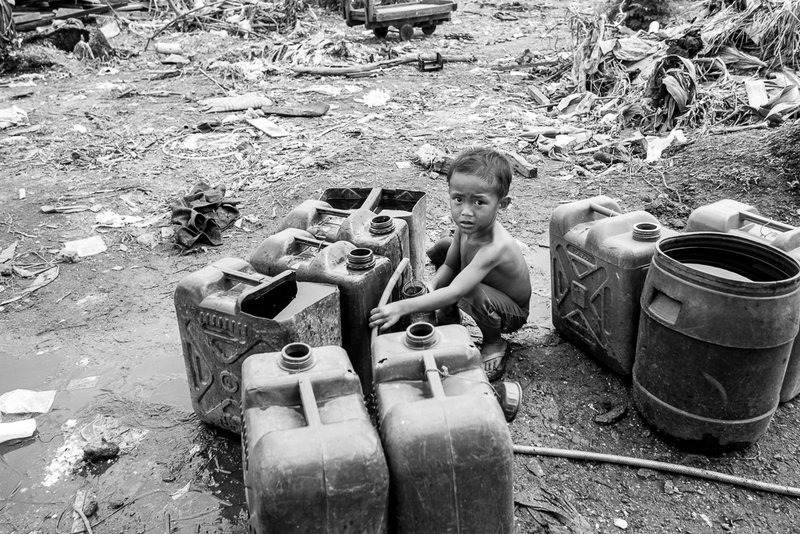 The typhoon Haiyan affected 15 million people, displaced 4 million, damaged more than 1.2 million houses, 35 million worth of infrastructures and agriculture. The national government and the local media want people to believe normalcy is returning in Tacloban. They put a positive spin on the current status in the city, focusing on more stores opening and the government’s effort to rebuild. 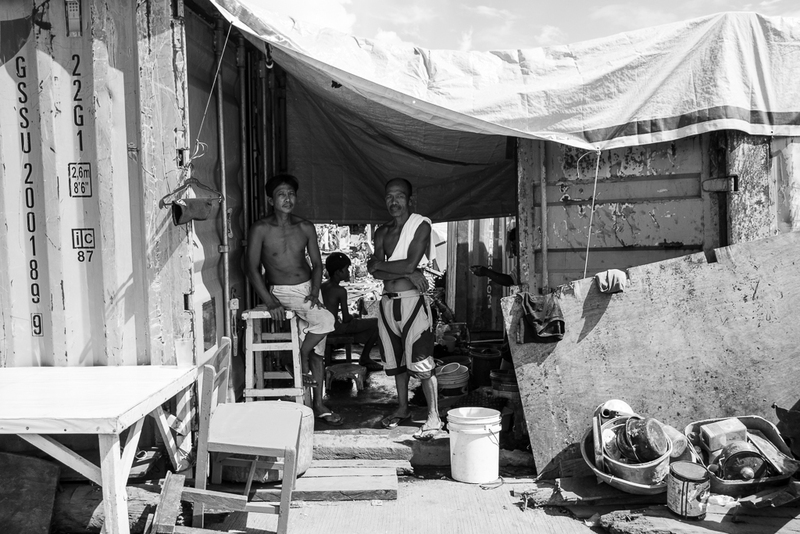 Tacloban and other affected areas in Eastern Visayas are from being back to “normal.” They need help and painting a rosy picture of what truly is the status in these locations would not exactly help them. It tells people the government can handle the crisis, when in fact, the truth is, it can not do it alone. The govt is preoccupied in face-saving. Another 30 days and all this will be under the rags. On the positive side, i can see this as an opportunity for our kababayans for a new beginning. Restart. Be bold. Aim higher. Be an example. Life is returning, like it always do, it shows in your photos, but they also show how great the tragedy has been for te people. Moving series of photos. Thank you for telling a story of truth with your pictures…. Continuing to pray for the Lord’s mercy and help for all those affected. Totally heartbreaking. I am lost for words. Thank you for sharing. Sty safe dear friend. and life goes on. touching deeply. Another set of moving images:(:( there is no such thing as “normalcy”. I agree with Valerie, Mr. Uy. 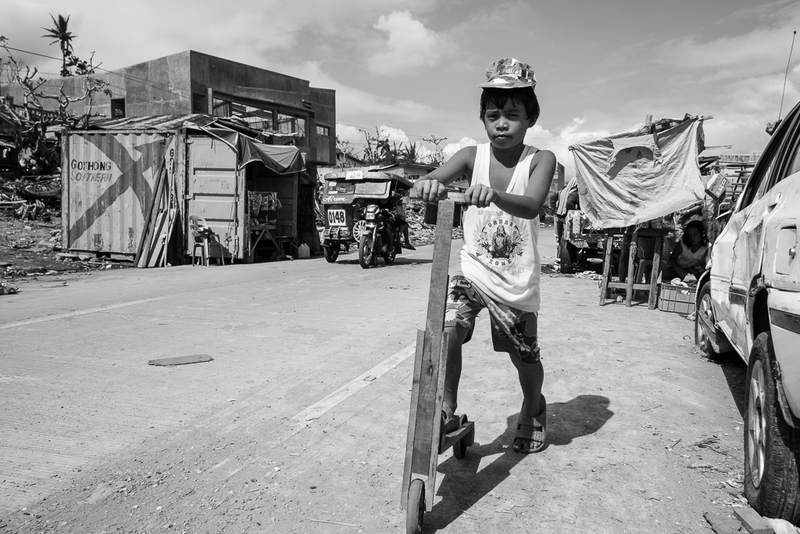 glad to have saved some of those pre- Yolanda pictures of Tacloban, esp. the children. Thank you. And I hope to bump into them sometime. Thank you for those images Orlando. And thank you for all those walks with your camera prior to the dreadful event. 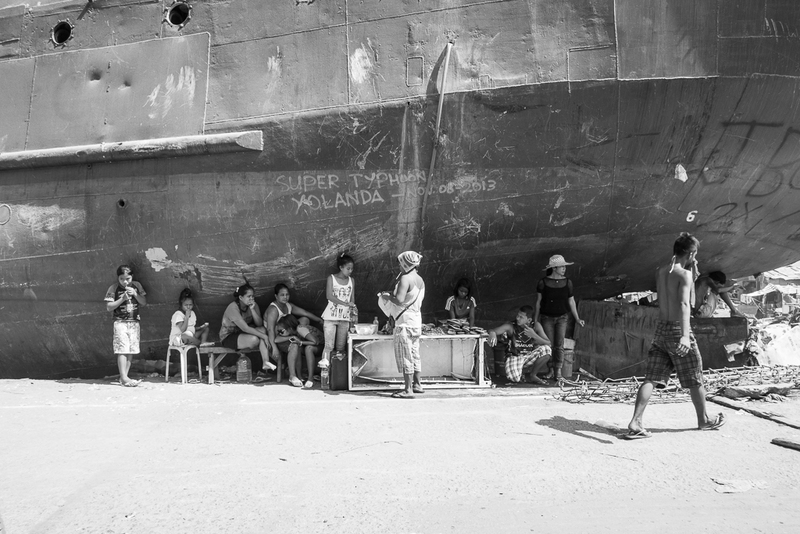 The old Tacloban and its people will always be remembered through your images. I spent the Sunday morning looking for familiar faces but there were none except for one. I just hope and pray that they have made it to safety and have relocated to another place, and that I will meet them again in the future. Very very painful. ;( Will continue praying for Tacloban and the rest of the Visayas that were hit. Thanks for the wonderful memories before the storm shared through your photos, Sir.